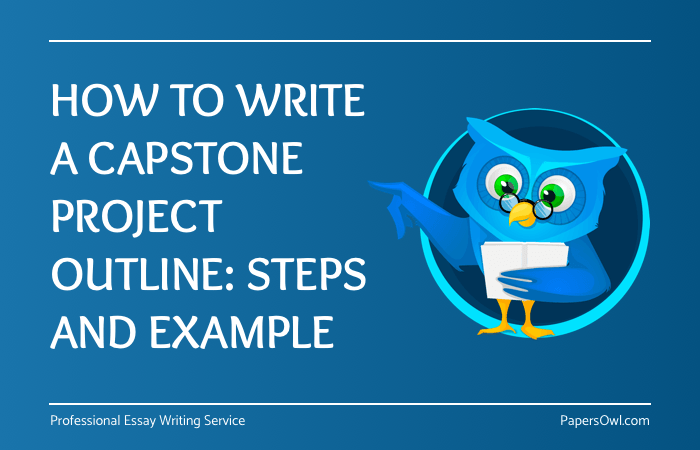 What Is A Capstone Project Outline? A capstone project, which is also called a culmination project, is used to show your skills and what you have learned from studying. To write it well, you need to use your communicative skills, work with teams, do research, gather information, and analyze sources. Why is it an important task? This paper is very significant for people who have already studied for several years at education establishments in any academic program and are going to show that they are professionals. To write such papers, students need to prepare a proper capstone project outline. It lets them develop an appropriate structure for their papers. It also lets them understand what they are writing about and what their goals are. If you’re not ready for creating a sample capstone project outline, you can use a reliable essay writing service to get it. How To Start Writing A Capstone Project Outline? You should know that the structure of a Capstone Project can be different, depending on the university, the subject, and the goals of writing. That is why you need to develop a proper structure for your outline before completing the task and ask your instructor if needed. You can also find a sample capstone project outline on the Internet. Research how to write outlines, how to develop their structures, what outlines are mostly used for such tasks – you may already have such an experience with other types of papers. Decide which number format you prefer to use. If your tutor doesn’t give you requirements for it, you can choose a format that is most appropriate for you. Make sure it would be convenient for your readers. Select the template for your essay outline – you can find capstone outline templates on the Internet or in the library. Start building the structure for headings and subheadings – the number of such elements can be different. Include the smaller sections to subheadings if needed and take note that you can add more sections later if necessary. Note down the content of each section and fill it with text, figures, and other elements and do not forget to use appropriate formatting and citation styles. There are different styles so your instructor can provide the necessary information on what to use for your project. When the work is completed, read it several times and rewrite fragments that don’t sound well, you can also find logical and other mistakes during the revision. Check for grammar errors and fix them, you can also check your text for plagiarism if you have access to checking systems. Specialists recommend to start writing your outline for a capstone project from making a list of essays and papers you wrote, and you should also include exams you took and projects that were presented by you. Each of these categories should be provided with a description. Make sure you are using a proper formatting and citation style. If you don’t know how to choose an appropriate style for text blocks, citations, and tables, you may ask your instructor for it. Like with any other paper at college and university, the title and introduction should be written very carefully and you can rewrite it several times later if needed. Make sure that the title attracts readers and the introduction makes them read further. The introduction should move from general to more specific items – it should also be focused on research, not only on the topic and it may also show how the topic of your work is discussed in each discipline. If your outline needs to include a detailed plan, make it realistic. You have to be confident that you will complete all the sections when they have to be completed and notice that specific steps may take more time than you thought. When all the sections of the outline are written, you should check it for grammar and logical errors. You should also ask other students because they may find mistakes you didn’t notice. It’s hard to show an example that would be useful for students of all subjects and universities. However, we can describe the most common elements of such papers and how to write them properly. The summary of your presentation. This is an approximate example of such work. However, it can vary depending on the purpose or topic. When you’re looking for a capstone paper outline example, make sure that examples you find are appropriate for you. There are different styles of such papers for different subjects so many samples may not meet your requirements. Therefore, it is important to pay attention to such details. Otherwise, you risk failing it. Many students find it difficult to write such papers, especially if they need to write big project outlines. Some give up on the initial stage simply because they doubt their abilities. However, luckily, if you already have examples of capstone projects but can’t write this paper well, you can use the help of a company, which provides a capstone project service for students. Such a company will help you reach success with ease. They will prepare a top-notch project for you within the shortest time and guaranty high-quality.